The tiny, white stucco-clad home overlooking West Bay is a landlubbing homage to Davey Jones’ locker. Anchors litter the yard. A small cannon guards the pathway. A metal seahorse graces an exterior wall, as does a ship’s wheel. A stork nests in the rear chimney. Two characters keep watch from a crow’s nest. 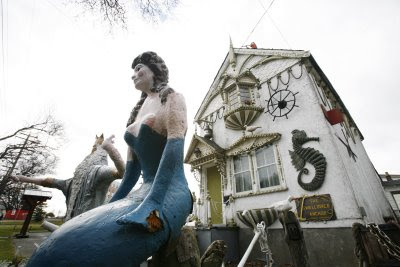 The front yard is shared by a mermaid, a frolicking pair of Dall’s porpoises, and a Trident-wielding King Neptune. Atop the house, a peg-legged pirate in a red jacket scans the horizon through a spyglass, a cutlass on his hip and a parrot on his elbow. The adjacent garage looks like a pirate’s treasure chest. The small home at 464 Head St. in Esquimalt is known as the Swallowed Anchor, a name chosen by the man who spent his final quarter-century indulging his passion for the sea. The result, still standing almost a decade after his own death, is a folk-art masterpiece. Like its creator, the Swallowed Anchor is proving to be not as timeless as the seas. “It’s looking tired,” Joan Fleischer says of her father’s handiwork. Indeed, porpoise eyes are missing and marine-fibreglass fins are torn and exposed. The family has sold the house and the last member of the family — the creator’s granddaughter — has just moved out. Ms. Fleischer claimed one cherished piece of her father’s whimsy by salvaging the heavy wooden front door with its window made from a ship’s brass portal. It’s now stored in the garage at her North Vancouver home. 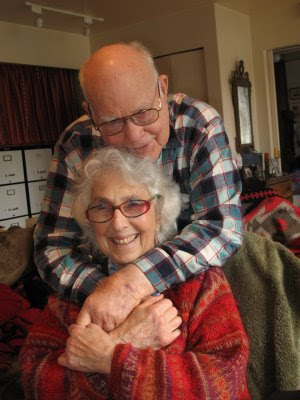 For most of his 90 years, John Keziere (pronounced KEE-zer, rhymes with geezer) quietly raised his family in another home he built with his own hands. His daughters grew up, moved out, started lives of their own. After his wife died, he moved into the Head Street house, one of the rental homes the carpenter and one-time mariner relied on for income in his retirement. He flourished on his own, becoming a character in a one-man play of his own creation. When tour buses stopped at his front door, he greeted passengers in an old sea captain’s jacket, expounding on the sea he loved with long recitations he had memorized. He was salty dog born and raised on the prairies. His birthplace was Brandon, Man., where amber waves of grain are the only hint of far-off oceans. His parents, Mary and Martin Joseph Kedzierewitch, were ethnic Poles who had emigrated from Lodz, then under the control of Tsarist Russia. John was the first of his family born in the new world. They moved to Edmonton, where his father, a carpenter, enlisted in the army at age 42 in 1915, soon after seeing action at the Battle of the Somme on the Western Front. A young man during the Depression, Mr. Keziere moved to Vancouver Island in search of work. He settled in the Cordova Bay neighbourhood, where he crafted tables and ornaments from maple burl. He married a proper, no-nonsense woman, and quietly went about his job as a wharfinger in the harbour. Only as a widower did he indulge his eccentricities. For the annual Swiftsure boat race, he dressed as a mermaid and greeted fellow sailers from aboard his dinghy. He helped the local Thermopylae Club build cairns marking the naval history of what once had been a far-flung outpost of the British Empire. And he turned an ordinary home into a tourist attraction. The capital retains a wonderful stock of grand homes from art-deco wonders to superb Craftsmen cottages to boxy Edwardians. The city even boasts a vice-regal residence in Government House. But not all last forever. Fable Cottage, a home with A-frame extensions that made it look like the home of the Seeven Dwarfs, was cut into sections and barged to Denman Island in 1993, where it continues to undergo renovations for possible future use as a bed and breakfast. The Old English Inn and Resort, with its Samuel Maclure mansion constructed in 1909 (the same year as Mr. Keziere’s birth) and its replica of Anne Hathaway’s Cottage, is listed for sale at $6.35 million. It is only a few blocks from Head Street. When illness forced Mr. Keziere into a care facility, he still took the bus back to his home to create more designs in his treasure-chest workshop. He died in 1999, having shared his love for the sea with his family (another daughter is wharfinger at Ford’s Cove on Hornby Island) and his whimsical vision with a generation of passersby. The new owner is Westbay Investments Ltd., which operates the marina across the street and also owns adjacent sites on land zoned as residential. The long-term plan is to develop the block with a mix of residential and commercial units. The house will not survive, but Westbay development manager Mark Lindholm says he wants to salvage much of the handiwork for inclusion in a folk-art park. Hope so. Lest he wants to be thought a scurvy dog. Ritchie Nichol's first meeting with the Harlem Globetrotters came at age 15 on a basketball court in his Vancouver Island hometown. The strapping lad – he would reach 6-foot-2 as an adult – faced the famous barnstorming troupe in a mismatch reflected in a lopsided score in the visitors' favour. That game, in 1936, would lead to an improbable friendship and an even more unlikely cameo appearance for Mr. Nichol, who was invited a few years later to become the first white player to wear the Globetrotters' famous jersey. During the Depression years, basketball was a much different game than it is today. The ball had less bounce and the lack of a shot clock made possession a key part of strategy, leading to low-scoring and often dull affairs. The sport, devised by Canadian-born James Naismith as a winter recreation, was barely past its own adolescence by the time Mr. Nichol and his teammates challenged the Globetrotters. Basketball made its debut at the Olympic Games that summer. The final match was played outdoors on a sand court in the rain, with the Americans defeating the Canadians, 19-8. The silver-winning team included Doug Peden and brothers Art and Chuck Chapman, all from Victoria. Then as now, Vancouver Island was a hot spot for hoops. The all-black Globetrotters travelled the continent playing exhibition games against local all-star quintets. While today's team is known for comedy routines, often at the expense of their patsy rivals, the showdowns of the 1930s were hard-fought affairs. Mr. Nichol's squad at Nanaimo was a callow but not untalented group, including Norm Baker, a 15-year-old who would later be voted Canada's basketball player of the half-century. The roughhouse play didn't prevent the local side from taking a spanking on the scoreboard, though. After the game, Globetrotters owner Abe Saperstein, a stocky, cigar-chomping impresario, visited the dejected Nanaimo players in their dressing room. He offered some playing tips and words of encouragement. “You did a fine job, son,” he told Mr. Nichol, before telling reporters that he and Mr. Baker were fine prospects. The Nanaimo boys played – and lost to – the Globetrotters again when the team passed through the next year. By the time of the 1939 tour, Mr. Nichol had joined Mr. Baker in Victoria with the Dominoes, a club that won the national championship that season. The Trotters rolled to victory again, but by this point, a fast friendship had formed among the players. “We just worshipped the Harlems,” Mr. Nichol said. The bonhomie developed despite the unwritten rules of segregation, a sort of Jim Crow North, that did not encourage intermingling of the races. Because of their skin colour, the Globetrotters were barred from the region's finer hotels. An unexpected room shortage in Vancouver once forced them to kipper down in an abandoned downtown store, a sheet over the window as a nod to privacy. By 1941, Mr. Nichol had enlisted and was attending a radio engineering course in Vancouver when the barnstormers came through on their annual tour. He looked up Mr. Saperstein at his hotel and was invited to accompany the team on an upcoming overnight visit to Woodfibre, a mill town on Howe Sound about 45 kilometres north of the city. The town was accessible only by boat or plane. The Trotters, including such stars as Duke Cumberland and Babe (The Cleveland Comet) Pressley, caught a tug at Horseshoe Bay with 19-year-old Mr. Nichol tagging along. He noticed Mr. Pressley walking with a limp from a swollen ankle. Once they were on the water, the owner talked to Mr. Nichol. The substitute was keen to take part in the slick comedic routines for which he had so often been a foil. The Trotters had a different idea. He was told to stand under the basket to wait for the ball. The only known written account of the game was composed by Bruce Lowther of Victoria, shortly before his death from brain cancer in 1999. Mr. Lowther, born and raised in Britannia Beach, a mining town across the sound from Woodfibre, talked his way into being the official scorer. He was just 14. “No sooner had things started than the Woodfibre gang got mad at the usual Trotter tactics,” wrote Mr. Lowther, who became a prominent Vancouver Island journalist. “They wanted to play seriously and showed it. “After a few minutes of hacking, chopping, pushing, the Trotters decided to fire back. They utterly demolished Woodfibre, playing most seriously all the way. After the game, Mr. Saperstein pressed $50 into Mr. Nichol's hand. Harlem players began entering the U.S. military with America's entry into the Second World War. The team signed Bob Karstens, a fine dribbler from Davenport, Iowa, who is recognized as the first white player under contract with the Globetrotters. Mr. Karstens died in California in 2004. Mr. Nichol never played another game as a Globetrotter, but he did play against them. On Jan. 11, 1946, the road-weary barnstormers faced a rare noon hour tipoff against the Varsity Thunderbirds at the University of British Columbia. The students deliberately chose an early game in the hope the visitors would have enjoyed some of the delights on offer the previous night in the city. The students came out storming. Barely eight minutes into the game, Zack Clayton of the Trotters suffered a broken rib in a skirmish under the basket and had to be replaced by Silent Silas Phelps. The Thunderbirds rolled to a famous 42-38 victory. Mr. Nichol notched five points on a pair of field goals and a free throw. Pat McGeer led the students with 14. (Dr. McGeer later served as a provincial cabinet minister in Social Credit governments. The team's manager, Garde Gardom, served in the same governments before being named lieutenant-governor.) Mr. Nichol turned professional, playing guard for the Vancouver Hornets, a forgotten entry in the city's sports teams. The Hornets lasted just two seasons in the postwar years, playing in a circuit along the Pacific Coast. The 1945-46 Thunderbirds were inducted into the B.C. Sports Hall of Fame in 1984. They were named to the university's sports hall of fame in 1997. The Dominoes basketball team was named to the Victoria Sports Hall of Fame in 1997. Away from the basketball court, Mr. Nichol became a successful businessman. He reported daily to his remanufacturing plant in the Vancouver suburb of Delta until he was in his 80s. Sometimes, Mr. Nichol was teased by friends as the “Jackie Robinson of basketball.” But he always said the colour line he crossed was nothing like the one faced by his friends on the Globetrotters. Richard James Nichol was born on Dec. 15, 1921, in Nanaimo, B.C. The resident of the Vancouver suburb of Delta died on Dec. 26, 2008. He was 87. He leaves Joan, his wife of 37 years; three daughters; three stepdaughters; eight grandchildren; and a great-grandson. 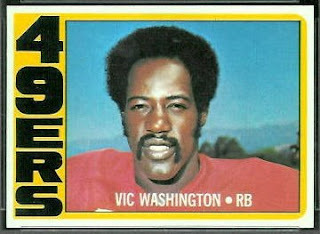 Of all the spectacles possible in football, few matched the fury and grace of Vic Washington in an open-field dash. Any time he was handed the ball – whether by his own quarterback, or after snagging an interception, or while receiving an opponent's kick – it seemed possible that he might scamper all the way to the end zone. He recorded brilliant individual runs in high school and college and on the bright stage of the National Football League. One of his more memorable romps occurred in the fourth quarter of the 1968 Grey Cup. The play was a turning point in the game. The former player became destitute, relying on food stamps and, for a time, living without a home in the community where he had been a high-school hero. He spent some time as an ordained pastor in Arizona. For many years, he fought with the NFL over a disability pension. He also spoke in retirement of football's unspoken but widespread drug use, from amphetamines to cocaine to steroids, and admitted that his struggles with chronic pain led to depression. Mr. Washington died on the last day of 2008, nearly unnoticed by the sporting world. As a departure, it was as inauspicious as his beginning. Victor Arnold Washington was born to Marion Washington, a 16-year-old single mother in Plainfield, N.J. He said as an adult that he had never met his father, identified as J.T. Smith in a paid obituary notice. The boy was raised by his maternal grandmother until a series of family difficulties led to his placement in an orphanage for three years. He was a strapping youth at 5-foot-11 and 190 pounds, lean in face as well as physique. In high school, he thrived on the track, the ball diamond and especially the football gridiron. Plainfield High coach Abe Smith knew how to handle athletes on the cusp of greatness. In his quarter-century guiding the Plainfield Cardinals, the disciplined coach handled several future professionals, including Milt Campbell, who won Olympic decathlon gold in 1956 before playing football in Montreal. Several other Plainfield high schoolers became professionals. The University of Wyoming recruited Mr. Washington on a scholarship in 1965. Always a threat as a running back and a devilishly quick cornerback on defence, Mr. Washington excelled as a punt returner. He led all collegians in punt returns in his junior year, setting school records for single-game returns (145 yards) and single-season returns (565 yards). Mr. Washington seemed to have his greatest success on the road. He ran a punt 55 yards into the end zone against the University of Texas at El Paso, and he stunned a partisan crowd at Provo, Utah, by returning a kickoff 95 yards for a touchdown. The Cowboys were ranked fifth in the United States when they faced the unranked Louisiana State Tigers in the 1968 Sugar Bowl. They went into the locker-room with a 13-0 halftime lead, but lost 20-13. It turned out to be Mr. Washington's last college game. That March, an intramural basketball game on the Laramie campus ended in a physical altercation between him and a 19-year-old student referee, who charged that he was knocked unconscious and suffered a seven-stitch cut over an eye. After pleading guilty to an assault charge, Mr. Washington was fined $25 and received a suspended five-day jail sentence. The university permanently expelled him. He was lured north to the Ottawa Rough Riders by Kelley Mote, a former NFL player working as an assistant to Frank Clair. In November, 1968, the team advanced to the Grey Cup final against the Calgary Stampeders at Toronto's Exhibition Stadium. Mr. Washington was part of two key plays in the second half. First, the Rough Riders tackled Calgary's punter at midfield before he could get off a kick. The good field position became all the better following the rookie's spectacular 14-yard run from scrimmage, which set up an Ottawa touchdown. The play seemed to give Mr. Washington a boost of confidence. The second play, a game-changer, was called by Ottawa quarterback Russ Jackson, who employed a variety of innovative manoeuvres to keep the Stampeders' defence guessing. With Calgary leading 14-11 early in the third quarter, Mr. Jackson selected a play described as a “quick pitch sweep left.” The Rough Riders lined up on their own 30-yard line with three flankers on the left and Mr. Washington as the lone running back. On the snap, Mr. Washington broke to his left to receive an underhanded toss from the quarterback. Just as the ball arrived, he looked up. That was a mistake. Two Stampeders gave chase, but Mr. Washington was gone, untouched on an 80-yard romp to the end zone. It established a new record for the longest run in Grey Cup history, and still stands after 40 seasons. “All I could think as I ran was ‘I hope I don't get a cramp! I hope I don't get a cramp!' ” he said. The Rough Riders never relinquished their lead on the way to a 24-21 victory, and Mr. Washington got the keys to a new car after being named the game's most valuable player. He spent another season in Ottawa before joining the B.C. Lions. But Vancouver was not to his liking. He became so disgruntled that his teammates assigned two players to address his attitude, according to sports columnist Jim Taylor. Running back A.D. Whitfield appealed to his athletic pride and his Christian beliefs, but veteran receiver Ernie Pitts had a different approach. “I told him that if he got out of line one more time, I was going to kick the living crap out of him,” Mr. Pitts told the columnist. Whichever part of the message got through, Mr. Washington behaved for the remainder of the season. The next season, he signed with the NFL's San Francisco 49ers, cementing his roster spot with two touchdowns during an exhibition game against San Diego. He earned a spot in the Pro Bowl after rushing for 811 yards with a 4.2-yard average in his debut season. His greatest single feat in the NFL was a 97-yard kickoff return in San Francisco's 1972 playoff loss to the Dallas Cowboys. He also played one season with the Houston Oilers and two with the Buffalo Bills. Mr. Washington played the entire 1973 season with a cracked kneecap, the result of a hard tackle on artificial turf in a preseason game. He was prescribed painkillers by team doctors, who also administered cortisone injections so he could take to the field despite his pain. His struggles included bankruptcy, a stint on welfare and a brief period of homelessness. According to the Journal, he filed a disability claim in 1983 and was diagnosed with arthritis, degenerative joint disease and other ailments. A psychiatrist found he suffered from depression and an inability to concentrate. Still, trustees of the NFL's disability plan split 3-3 about whether his disability was football-related or related to his troubles as a youth. They approved a benefit of just $750 per month, instead of the $4,000 to which he felt he was entitled. 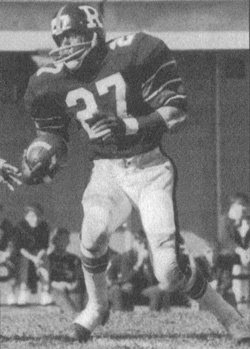 Mr. Washington was named to the University of Wyoming Athletics Hall of Fame in 2005. In the years after he left the football field, he had become one of those figures whose reputation grew in the retelling. To Canadian football fans of a certain generation, his name still elicits memories of the spectacular. Victor Arnold Washington was born March 23, 1946, in Plainfield, N.J. He died Dec. 31, 2008, at Lehigh Valley Hospice in Allentown, Penn. A resident of Greenwich Township, N.J., he was 62. He leaves a son, three daughters, three sisters and three grandchildren. The demo tapes were going to take Art Bergmann to the big time. The Vancouver singer was a lean and angry performer with a ferocious presence. He wrote razor-sharp lyrics about life’s underbelly, singing tales of molestation and desperation in a voice as sordid as his gutter topics. Any schmo can write a love song. Mr. Bergmann preferred exploring the motives of a guy who guns down his family. No “moon-June” rhyming for him. His stuff was smart. In the mid-1980s he recorded some songs in Vancouver with an up-and-coming producer. The demo tapes led to a contract with a Toronto label. They had the songs produced by John Cale, who founded the Velvet Underground with Lou Reed. Mr. Cale eschewed the loud rhythm guitars that had been so much of the Bergmann sound. It was OK, but it wasn’t really Art. Mr. Bergmann later had a Juno nomination, got signed and dumped by another major label, continued to write songs of genius, kicked a debilitating drug habit (the experience of which was captured in the album title, “What Fresh Hell Is This?”), and, finally, settled down on a farm in southern Alberta, where he lives a spartan life as a semi-recluse. The big time never happened. Over the years, the original demo tapes took on a semi-mythological status. If only John Cale had appreciated guitars, if only the tapes’ up-and-coming producer had been employed on the record, if only Art not been torn by his allegiance to his art and his uneasiness with the business, then maybe Mr. Bergmann’s music might have found the wide audience it deserved. Now, some 20 years later, the demo tapes are being released. The independent label is owned by Ray Fulber and Susann Richter, a husband-and-wife team who played bass and keyboards on the demos and in Bergmann’s band, Poisoned. The couple toured with Mr. Bergmann for about five years. They now live in Gibsons on the Sunshine Coast, where they operate a recording studio from their small acreage overlooking Georgia Strait. The tapes spent decades in a box happily not lost despite some wild times. He hung on to the tapes in part because he considered them his “I told you so” to the music industry. The passing years caused the tapes to become unplayable. The solution? A slow baking at 135-degrees F. in a Snackmaster food dehydrator. Cook for six hours, turning over every 30 minutes. The tapes were mixed by Bob Rock, who had been passed over as producer in favour of John Cale. The irony is that Mr. Rock (which is, incidentally, his real family name) went on to become one of rock’s great hit-makers, handling recordings by Aerosmith, Metallica, and Motley Crue. “It’s radio friendly and then you listen to the lyrics and it’s heavy,” Mr. Fulber said. He knows life offers twists and surprises and ironies that are only funny with the passage of time. Take his father, Fred, a social democrat in Germany at the time of Hitler’s rise. He was working as a merchant mariner when he jumped ship at Fanny Bay on Vancouver Island. It was 1938. He lurked around isolated logging camps, picking up work as a cook as he tried to teach himself English. After Canada went to war with Germany, though, he was picked up by the Royal Canadian Mounted Police as an enemy alien. He likely spent time in a prison camp with other Germans, some of whom would have been the very Nazis from whom he was fleeing. Nazi atrocities figure on more than one Bergmann song, as the songwriter contemplates the horror and his own heritage. He was born to a devoted Mennonite family in the Vancouver suburbs. Some of his earliest drug experiences came while hanging out with the juvenile delinquents sent to live with his family. He joined the Mount Lehman Grease Band, which gained an avid following in the Abbotsford. One of his bandmates was David Mitchell, who later chose politics over punk. He wrote a favourable biography of Social Credit premier W.A.C. Bennett before being elected an MLA himself. Mr. Mitchell recently became president of the Public Policy Forum and is a frequent contributor to the Globe’s op-ed page. Mr. Bergmann followed a different path. He played in a band called the Schmorgs before joining the K-tels, for whom he co-wrote “Hawaii,” a blistering and ribald paean to every Canadian’s desire to escape winter. The song, an instant punk classic, got no airplay because of the frequent adjectival use of a common expletive. Then came the punk superband, Los Popularos, and then came Poisoned and then came disappointment. Mr. Bergmann suffers from arthritis, making guitar-playing difficult, and had an operation last fall on his back. On March 26, he will play his first Vancouver date in many years, joining his old bandmates from Poisoned on stage as part of a CD release concert. It is being held during a week of Juno festivities leading to the music awards show three days later. “It’s going to be a spectacle,” Mr. Fulber promises. Four legendary demo tapes of Art Bergmann and Poisoned from the mid-1980s are to be released next month on Bearwood Music. 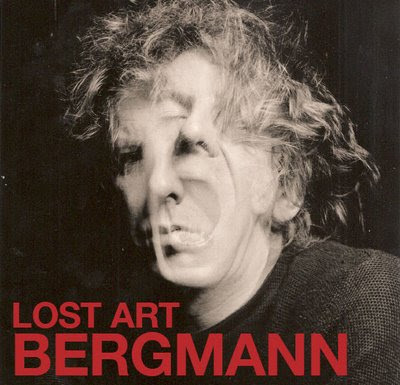 The sample tracks promise vintage Bergmann. A terrific fan website has been created by Kevin Frazer and others. It includes a timeline, discography, lyrics, music and a wide selection of articles from Mr. Bergmann’s down-and-down career. Five songs, including the notorious “My Empty House,” can be heard on his MySpace page. You can also gather with fellow Bergmann other fans on Facebook at “Art Bergmann needs oil”. This morning, as she does thrice a week, Edith Iglauer will bask in the restorative waters of an indoor swimming pool. An underwater workout eases the aches of 91-year-old bones. She is joined in the exercise by her husband, Franklin White, known as Munga, a retired logger. “We’d be stiff as boards if we didn’t do something like that,” she said. The couple so enjoy aquafit they once rode in the bed of a truck promoting the fitness program in a May Day parade through Pender Harbour, where they make their home. Ms. Iglauer has endured operations — “one back, two hips, one knee” — each demanding a period of recovery. She wears hearing aids in both ears, a frustration for a reporter whose self-described “rampant curiosity” is evident in her every piece. When not in the water, Ms. Iglauer can be found at the keyboard. She is at work on her sixth book. It is about herself. The bare bones of her biography promise a great read. Born in Cleveland a month before her country entered the First World War, she would be a war correspondent at the end of the Second. She wrote for McCall’s magazine and for the Cleveland News, covered First Lady Eleanor Roosevelt at the White House, held the rank of captain as she reported from post-war Italy and Yugoslavia, wrote about the creation of the United nations for Harper’s, got bylines in The Atlantic Monthly and the New York Herald-Tribune, among other publications. After joining the staff of the New Yorker in 1961, she wrote about the construction of the World Trade Center, as well as about housing, air pollution and mounted policemen in New York City. It was during her first year at the magazine that she traveled to the Canadian Arctic to report on an Inuit co-operative in northern Quebec at George River, now Kangiqsualujjuaq. (“You’ll have to spell that yourself,” she says today.”) She fell in love with this vast land, though her introduction was to a place so few of us have ever seen. Ms. Iglauer likes to joke she came to Canada “from the top down.” She later described Canadians as “the strangers next door.” a title she would use for a journalism collection. Almost as if by default, she became a primary interpreter of Canadians for Americans (or at least those stirred enough to care). In 1942, she married Philip Hamburger, a New Yorker writer. The marriage ended, though their affection for one another never did. The union produced two sons, both involved in the theatre, Richard as a director in New York and Jay in Vancouver, where he is a founder and artistic director of Theatre in the Raw. The former was once a circus clown, the latter recently directed “Bruce — The Musical,” about the acerbic downtown-eastside activist Bruce Eriksen. On a reporting trip to British Columbia, a friend put her in touch with a commercial fisherman named John Daly. They dined on salmon and champagne aboard MoreKelp, a “shabby little vessel” lacking even a proper toilet. She had returned to Manhattan when she got a late-night telephone call from the coast. The writer became a deckhand on the troller, learning not to hang tea cups on adjacent hooks lest they smash together on a swelling sea. She also learned how to live with a partner in cramped quarters along an unforgiving coast. One day, they were on an overland road trip, dancing in a smokey hall. The poor air made it difficult for Mr. Daly to breath. She urged him to leave. He insisted on one last dance before exiting for fresh air. She found him outside, on his back, his arms out. She thought, for a happy moment, he was making snow angels. He was gone. She recounted their life together in “Fishing With John,” a memoir rich in detail and utterly free of sentimentality, which makes it so touching a love story. Though she had only ever anticipated the one marriage, a third was in her future. Frank White, who had lost his wife at about the same time Mr. Daly died, invited her to attend an evening class with him on public speaking. She hated the idea of addressing an audience, but appreciated the invitation to a pre-class dinner. They have been together now almost a quarter-century, married for the past few. With Valentine’s Day approaching, Ms Iglauer was asked what she had learned about sustaining a relationship. She grew up in comfort, while her husband lived on an island with the only amenities those they built themselves. She has a degree from Wellesley College and a journalism master’s from Columbia; he is self-taught. To this day, she cannot place milk on a table unless it is in a pitcher; he is a retired logger. Mr. White is the father of Howard White of Harbour Publishing, whose stable includes one Edith Iglauer. He counts among his grandchildren another publisher and a Globe and Mail reporter. Ms. Iglauer remains a striking woman, her silver-white hair like a gloriole in a devotional painting. Sometimes, at night, Munga brings her a cup of cocoa in bed. She says she is uncertain whether she will ever finish the book about her life. If not, the reason is obvious. She is still living it. Fifty years ago today, three young musicians boarded a four-seat propellor airplane after playing a show at a Midwest ballroom. They flew in a storm to avoid another overnight ride on an unheated bus on an arduous midwinter tour. By morning’s light, searchers found the wreckage on a cold, windswept Iowa farm. The crushed fuselage held a crumpled body. Three others lay in a snowy field. The young pilot, Roger Peterson, died at the controls. His passengers were Richard Steven Valenzuela, 17, of Pacoima, Calif.; Jiles Perry Richardson, 28, of Beaumont, Tex. ; and, Charles Hardin Holley, 22, of New York and Lubbock, Tex. The rock ’n’ roll world knew them as Ritchie Valens, the Big Bopper and Buddy Holly. The tragedy is remembered as The Day the Music Died. The trio performed at the Surf Ballroom at Clear Lake before chartering the airplane. It was said Mr Valens and Mr. Richardson were nursing colds, while Mr. Holly needed to do laundry. Mr. Holly’s rise and tragically literal descent was brief even by rock’s unforgiving standard. Only 20 months passed from the release of his first hit, a recording of “That’ll Be the Day,” until his death. That rockabilly song broke as a regional hit in Buffalo, New York and Philadelphia, as well as in Vancouver, where a young, red-haired disk jockey included it as one of his top-10 picks in a list published by Cash Box magazine. “I was the first guy ever to drop a needle on it,” Red Robinson says. On Oct. 23, 1957, a touring troupe of musicians, billed as “The Biggest Show of Stars,” played two evening shows at the Georgia Auditorium in Vancouver. 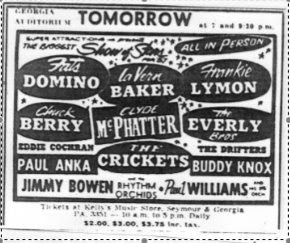 The lineup included Fats Domino, Chuck Berry, the Everly Brothers, Eddie Cochran, Paul Anka, Buddy Knox, the Drifters, LaVern Baker, Clyde McPhatter, and Mr. Holly with his Crickets, as well as Jimmy Bowen and the Rhythm Orchids and an orchestra. Admission was $2 with a top ticket price of $3.75. As the host of twice-daily radio shows on 50,000-watt CKWX, the most powerful station west of Winnipeg and north of San Francisco, the ginger-haired jock enjoyed a large following among teens. Mr. Robinson introduced acts before retreating backstage to interview performers for his radio show. The 21-year-old musician, who had yet to earn enough money to cap his front teeth, posed backstage with the 20-year-old deejay, who put his left arm around the shoulder of the rising star. “That’s what I heard,” Mr. Holly said, chuckling. The single, with “Not Fade Away” on the B-side, was released four days later. The news excited the deejay. Mr. Holly said he thought rock ’n’ roll’s future was limited and would not last much beyond Christmas. Mr. Holly even recorded a promotional spot for the deejay. Mr. Robinson even found time to take the Texas singer to a nearby White Spot drive-in, known for milkshakes and hamburgers with a sauce known as the Triple O. In his brief touring career, Mr. Holly performed in five provinces, missing only Manitoba and the Atlantic. His Canadian debut came a month before the Vancouver show at Maple Leaf Gardens in Toronto. He played the Montreal Forum the following night. In the span of 13 months, Mr. Holly also performed in Calgary, Edmonton, Regina, Ottawa, Kitchener, Ont., and Peterborough, Ont. A grinding schedule of tour dates was the price of rock ’n’ roll fame. The trio of doomed performers were part of a Winter Dance Party Tour in 1959 across the American Midwest with Dion and the Belmonts, as well as an aspiring teen idol from New York named Frankie Sardo. Waylon Jennings, who would go on to forge a legendary career of his own as a country outlaw, played bass behind Mr. Holly. Mr. Robinson’s own recollection of the moment when he first heard remains indelibly etched in memory. He was working at station KGW in Portland, Ore. He scanned a news bulletin about the wreck. “I’ve got to break in right away,” the news director insisted. The deejay agreed. As the terrible news was broadcast, Mr. Robinson grabbed a record, pinching it between thumb and forefinger even as the turntable spun, a technique called slip-cueing, which eliminates the silence before music sounds. At the right moment, he let go of the platter and was shocked to realize what he had placed on the turntable. It was Mr. Holly’s latest record, “It Doesn’t Matter Anymore,” written by Ottawa’s Paul Anka, released just two weeks earlier. To this day, 50 winters later, the memory gives him a chill. 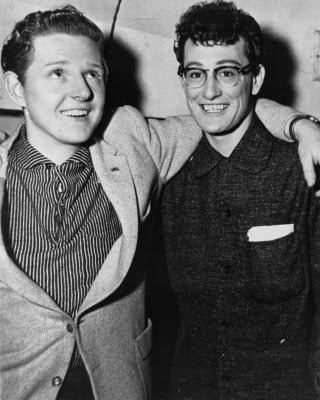 The disc jockey Red Robinson taped a chat with Buddy Holly backstage at the Georgia Auditorium in Vancouver before a 1957 concert. The interview can be heard on YouTube. It is also available for purchase on iTunes for 99 cents. The two young men talk excitedly about weather and music. Mr. Holly thought the rock ’n’ roll craze near its end. Mr. Holly recorded an eight-second promotional spot for Mr. Robinson’s radio show. It is also for sale on iTunes. Vancouver’s daily newspapers did not think much of the singers at the 1957 show. “They performed the stiff-legged, spasmodic rites of the cult with an unimaginative sameness that makes their wide appeal an enigma,” wrote Alan Hope of the Vancouver Sun. He noted the music made the teenagers in the audience scream. “Occasionally the jungle beat caught them and they strained forward, hands clapping,” he wrote. More on the exciting days of competitive Top 40 radio in Vancouver can be found at the online Vancouver Radio Museum. Music fan Jim Bower has compiled lists of Vancouver radio station surveys. The lists of hits forgotten and unforgettable are an irresistible delight. Many tributes to the three recording artists killed in the plane wreck on Feb. 3, 1959, can be found online. The Surf Ballroom at Clear Lake, Iowa, has been maintained in a state much like it was on that night 50 years ago when Buddy Holly, Ritchie Valens and the Big Bopper stepped on stage for what would be their final performances. Fans travel the continent to make a pilgrimage to a site that has become a shrine to rock and roll. A full program of events has been held at the ballroom to mark the anniversary. Many falsehoods about the tour's final days are debunked by the anonymous experts who post the Buddy Holly Online website. Among the many highlights are fan photographs of the Winter Dance Party shows leading to the fateful flight. The Des Moines Register newspaper has published an online multimedia presentation of the crash, including links to the official crash investigation, as well as the coroner’s reports. From these, you learn the personal effects found with Buddy Holly’s body included cufflinks, the top of a ballpoint pen, and $193 cash, from which the coroner deducted $11.65 in fees. The Mason City Globe-Gazette, with the motto “North Iowa’s daily newspaper, edited for the home,” found itself on the international stage with the death of the three performers. Check out the newspaper's front-page for Feb. 3, 1959. The Buddy Holly Center in his hometown of Lubbock, Tex., has posted a timeline and a biography. Hank Goldup’s name is engraved on the Stanley Cup, proof of his contributions on behalf of the winning team in one of the most storied championship series in hockey history. The Toronto Maple Leafs, having lost the three opening games of the 1942 finals, faced almost certain defeat. The Detroit Red Wings players, confident and magnanimous on the cusp of victory, even invited the Leafs to join them at their pending celebration. The concluding games were wild affairs even by hockey’s lawless standards. After one match, Detroit’s general manager stepped onto the ice to punch the referee. The Leafs upset all predictions by winning three games in a row, setting up a seventh-game showdown the anticipation of which thrilled the sporting world. A large crowd — at 16,218 the largest live hockey audience in Canada to that time — filled every nook of Maple Leaf Gardens. Among them was Mr. Goldup, dressed in street clothes. He had been benched. Henry George Goldup seemed destined for stardom from early in his hockey career, though it is said he did not possess a pair of skates of his own until age 16. At 17, he dominated the amateur league in his hometown of Kingston, Ont., scoring 29 goals in just 16 games. Such proficiency caught the attention of Conn Smythe, owner and general manager of the Maple Leafs, who brought the youngster west to finish his schooling, both on the ice and off, at Northern Vocational in Toronto. A lean figure at 5-foot-11, 175-pounds, the left winger played on the school’s first line, which was centred by Herb (Swivel Hips) Carnegie, the son of Jamaican immigrants. (Mr. Carnegie would be frustrated in his ambition to play in the National Hockey League, a failure owing more to the colour of his skin than any deficiencies in his play.) In the provincial playoffs, Mr. Carnegie averaged a goal per game, while Mr. Goldup averaged two. Their school won the Ontario Junior-B title, Mr. Goldup suffering a severely bruised shoulder in the penultimate game. He was the league scoring champion the following season with the Toronto Marlboros, recording 25 goals and 16 assists in just 14 games. 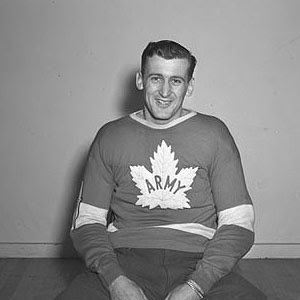 Mr. Goldup turned professional with the Pittsburgh Hornets in 1939, although he was wearing the blue-and-white sweater of the Maple Leafs before the season ended. Placed on a line with centreman Pete Langelle, a fellow rookie, and journeyman winger Gus Marker, the trio added spark to Toronto’s attack. “You can’t keep from cheering these fellows,” the Globe touted in a headline. Though Mr. Goldup managed just six goals in 21 games, and showed a disinclination to do much backchecking, his midseason promotion seemed a stroke of genius by playoff time. He scored five goals in 10 games, including a couple of third-period game winners, to tie for the lead in playoff scoring with teammate Syl Apps, the Leafs centreman who had narrowly lost a bid for a seat in the House of Commons during the playoffs. After one of his game-winning goals in the finals, the Globe praised the popular rookie. “Hankus Pankus Goldup added another sparkling all-round performance to his fine work in the first and second Stanley Cup title games and was the most consistently dangerous puck-pusher all evening,” the newspaper reported. In the end, however, the New York Rangers claimed the Stanley Cup, a trophy the club would not win again for 54 years. Those dramatic goals made Mr. Goldup something of a fan favourite at Maple Leaf Gardens, the arena at which he had been skating since high school. However, the playoff scoring magic deserted him in following seasons. He never again scored a post-season goal in the NHL. At the start of his sophomore campaign, he was dubbed the Great Goldup and Goal-A-Game Goldup. The performance gave Mr. Smythe evidence his faith in the forward had been justified. Late in the game, Mr. Goldup suffered a bone bruise in his foot, the first of a series of nagging injuries that would hinder his career. In January, 1941, he tumbled into a goal post, in those days rigidly set into the ice, suffering a fractured hip. He did not return until the playoffs. Other injuries limited him to just 44 games in 1941-42, during which he scored 12 goals and 18 assists for his best NHL performance yet. The Leafs eliminated the league-leading Rangers in the semifinals to face the Red Wings in the finals. After Detroit’s three opening victories, coach Hap Day made wholesale changes to his roster, sitting veteran defenceman Bucko McDonald and others. (Mr. McDonald had greater success on the hustings than teammate Syl Apps, winning a seat in the House of Commons in 1945.) Mr. Goldup was replaced after the fourth game, a Leaf victory, by Gaye Stewart, who would go on to win the Calder Trophy the following season as the top rookie. Detroit opened the Game Seven showdown by scoring the first goal. This was too much for Mr. Goldup and Mr. McDonald to witness, so they left the Gardens for a nearby sporting goods store, where they paced anxiously. Mr. Goldup later completed two circuits around the downtown block housing the Gardens. In the end, the Leafs won the game, 3-1, and the series, 4-3, to claim the Stanley Cup in a comeback still hailed as the greatest of all time. Mr. Goldup’s career with the Leafs ended early in his fourth season with the club, when he was traded to the Rangers with Red Garrett in exchange for Babe Pratt, a future member of the Hckey Hall of Fame. Both ex-Leafs enlised in the Canadian armed forces at the end of the season, Mr. Goldup serving in the Army and Mr. Garrett in the navy, the latter killed two years less three days from the trade when his corvette, HMCS Shawinigan, sank with all hands after being struck by a torpedo fired by a German U-boat in the Cabot Strait. After six seasons in the NHL, Mr. Goldup was sold by the Rangers to the Cleveland Barons, for whom he had his most productive season as pro, scoring 30 goals in the American Hockey League. But torn ligaments suffered in a summertime softball game effectively ended his playing career, although he did skate briefly for the Washington Lions and the Shawinigan Cataracts of the Quebec senior league before calling it quits. He later became a member of an early touring old-timers’ hockey team. His popularity as a player helped make him an effective salesman for Molson Breweries and Andres Wines. He later became a sales executive for Victoriaville hockey sticks. A competitive amateur golfer and a longtime youth hockey coach, Mr. Goldup enjoyed the pleasure of seeing one of his sons follow him into the NHL. Glenn Goldup played 291 games with the Montreal Canadiens and the Los Angeles Kings. The elder Mr. Goldup was inducted into the Etobicoke Sports Hall of Fame in 1995 and named to the Kingston and District Sports Hall of Fame in 2005. A stroke suffered in 2002 robbed Mr. Goldup of his speech. However, when the Stanley Cup was presented to him three years ago at the care facility in which he resided, the former player managed to whisper the trophy’s storied name. “Those were the clearest two words I heard him speak in years,” Glenn Goldup said. A 10-karat gold ring honouring the 1942 Stanley Cup triumph sold for $14,850 US, far more than he ever earned in any season as a player. Henry George (Hank) Goldup was born on Oct. 29, 1918, at Kingston, Ont. He died in his sleep on Dec. 14 at The Village of Erin Meadows long-term care facility in Mississauga, Ont. He was 90. He leaves his companion, Helen Derbyshire; three sons; five daughters; 11 grandchildren; and, five great-grandchildren. He was predeceased by his wife, Margaret, who died in 1999. He was also predeceased by a daughter, Barbara; a sister; and, a brother. Don Tabron lived most of his life in obscurity as an ordinary electrician. He opened a business, raised a family, enjoyed such pastimes as bridge and bowling. He was 86 when the Toronto Blue Jays baseball club ended his quietude by honouring him for a nearly forgotten achievement. Back in 1934, Mr. Tabron pitched and played shortstop for the Chatham Colored All-Stars, a team based in the southwestern Ontario town that had been a haven for refugees from slavery. The All-Stars' semiprofessional roster consisted of local talent with the addition of a few ringers from nearby Detroit, among them Mr. Tabron, then just 18. Only the most ardent of fans remembered the Chatham team, celebrated in its day for winning an intermediate provincial title in an era of segregated baseball. A newfound interest in the history of black baseball brought honours to Mr. Tabron for his trailblazing role. He was delighted by the attention and somewhat amazed to have been rediscovered after so many years. The youngest of 10 children born to Henry and Luella Tabron, Don spent his early years in his birthplace of Princeton, Ind. His mother died shortly after his birth. On March 18, 1925, when he was 9, a tornado roared through southern Missouri, Illinois and Indiana, destroying farms and devastating towns unlucky enough to be in its path. A school and a pickle factory, among other buildings, were levelled at Princeton and more than two dozen people were killed - most of them children. Later named the Great Tri-State Tornado, the 625 fatalities make it the deadliest tornado in U.S. history. That same year, Don was sent north to live with his sister Myrtle on Detroit's East Side. They raised rent money by playing host to card parties with the boy serving as dealer. This apprenticeship as a card sharp did not delay graduation from Northeastern High School at age 16 in 1932. Unable to afford the rental fee for a cap and gown, he skipped the formal ceremony and picked up his diploma the following morning. A fine athlete at several disciplines, the one he rejected outright was ice hockey. Because he could not skate, Mr. Tabron was cajoled into a stint as netminder in the days before goalkeepers wore masks. After a puck whizzed past his bare face, he quit. On the baseball diamond, he flashed a sure glove in fielding the ball at shortstop. He threw curveballs and the occasional knuckleball from the mound, relying on guile rather than speed to bamboozle batters. The Chatham team formed in 1932 to play exhibition games in barnstorming tours of the region. They provided inexpensive entertainment during the Depression, the players' payment coming in the form of regular meals and a nightly bed, as well as the occasional dollar. Part of the ballyhoo associated with the club was the development of humorous routines, known as "playing pepper," involving tricks in handling a baseball. Local businessmen sponsored the team, providing automobiles for road trips. The All-Stars entered the Chatham city league for the 1934 season. Manager Joe (Happy) Parker extended an invitation to young Mr. Tabron, who shared pitching duties with Earl (Flat) Chase. One of the hitting stars was 19-year-old Wilfred (Boomer) Harding, a superb athlete who excelled at baseball, softball, basketball, hockey, and soccer, as well as track and field as a sprinter and pole vaulter. Dressed in matching pinstriped uniforms, with a letter C surrounding a star on their left breast, the Chatham players cruised to the city championship before beginning playoffs to determine the Ontario title. In the finals, the Stars travelled to Penetanguishene to face the Spencer Foundry Rangers, a team build around slick shortstop Harold Crippin and star pitcher Phil (Babe) Marchildon. The hurler had only taken up baseball two years earlier in high school, but soon proved to be one of the greatest pitchers ever produced in Canada. Mr. Marchildon later spent parts of nine seasons in the major leagues with the Philadelphia Athletics, including a comeback after many arduous months in a German prisoner-of-war camp. The visiting Stars won the opening game, played on a diamond that had been, just a few years earlier, a cow pasture, 8-4. The Penetanguishene nine staved off elimination by winning the return game, 3-1, at Chatham. A deciding third game was scheduled to be played in Guelph as a neutral site with Penetanguishene acting as home team. The score was tied 2-2 after 10 innings in a pitcher's duel. Mr. Marchildon struck out 18 Chatham batters, while Mr. Chase fanned 12. In the 11th, Chatham pushed across a go-ahead run on squeeze play. In the bottom of the inning, with the championship on the line, Mr. Chase struck out the first batter he faced, leaving Chatham two outs from claiming the title. It was then the umpires declared the fading sunlight a danger, calling the game because of darkness. The decision nullified Chatham's final run. The Stars protested the unfairness of the ruling even as the time spent in debate rendered their argument moot. The deciding game was replayed the following day with Mr. Tabron getting the starting nod for Chatham. He did not last, as the first three batters reached base. He was replaced by Mr. Chase, the Big Flatfoot who was returning to the mound less than 24 hours after pitching more than 10 innings. Mr. Marchildon also returned to the mound, but his arm was sore from the previous day's exertions. Chatham won the game, 13-7, and with it the championship. The Stars returned to Chatham to be greeted by a band and thousands of happy citizens, who lined a downtown street to greet their heroes. The players were saluted by the mayor before being feted at a hotel banquet. Mr. Tabron returned to the team the following season, during which he roomed with Pops Jenkins. (A half-century later, Ferguson Jenkins Sr. would watch from a wheelchair in the audience at Cooperstown, N.Y., as his namesake son, a terrific pitcher for the Chicago Cubs and other teams, was inducted into the Baseball Hall of Fame.) 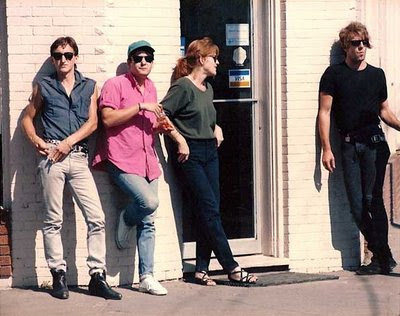 Life on the road was not always easy for the Stars. The players were barred from a hotel in Penetanguishene during their 1934 playoff, instead staying at an inn in nearby Midland, Ont. The racial segregation of his playing days prevented Mr. Tabron from trying out for a spot on a minor-league roster. While a competent athlete, it is unlikely he played at a calibre to have taken him to the major leagues. In 1984, on the 50th anniversary of their championship, the All-Stars were inducted into Chatham's sports hall of fame. According to baseball researcher Wayne Stivers, Mr. Tabron played on occasion with such teams as the Detroit Stars, the Brown Bombers, and the Zulu Cannibal Giants, whose comedy routine included playing barefoot in grass skirts. In 1940, by then married and having started a family, Mr. Tabron became an apprentice electrician at Ford's Rouge factory. His family believes he was one of the first blacks to be admitted to the program. He soon after opened Don's Radio, a repair shop, and, in 1944, launched Tabron Electric, an electrical contracting company. A second marriage to Theresa McTyre Howell introduced Mr. Tabron to the restaurant business. His wife was the celebrated proprietor of Theresa's Barbecue, as well as a golfer. After that union ended, he married Velma Cooper, a nurse whom he had met at the Lucky Strike Lanes bowling alley in Detroit. They joined a bridge club, returning Mr. Tabron to the card table. "I spent 20 years playing baseball, 20 years bowling, and 20 years golfing," he liked to say. In a game held in 2002, the Toronto Blue Jays honoured baseball's black pioneers by wearing replicas of the Chatham uniforms. The championship team's last two surviving members, Mr. Tabron and Sagasta Harding, were invited to throw a ceremonial opening pitch. A similar honour was extended to Mr. Tabron by the Detroit Tigers the following season. The death of Mr. Harding at 94 in 2002 left Mr. Tabron as the final surviving member of the Chatham Colored All-Stars. Donald William Tabron was born Oct. 3, 1915, at Princeton, Ind. He died Dec. 19, 2008, at a hospice in Detroit. He was 93, and suffered dementia, prostate cancer and congestive heart failure. He is survived by his wife, the former Velma Cooper, whom he married in 1970. He also leaves a daughter and two sons.